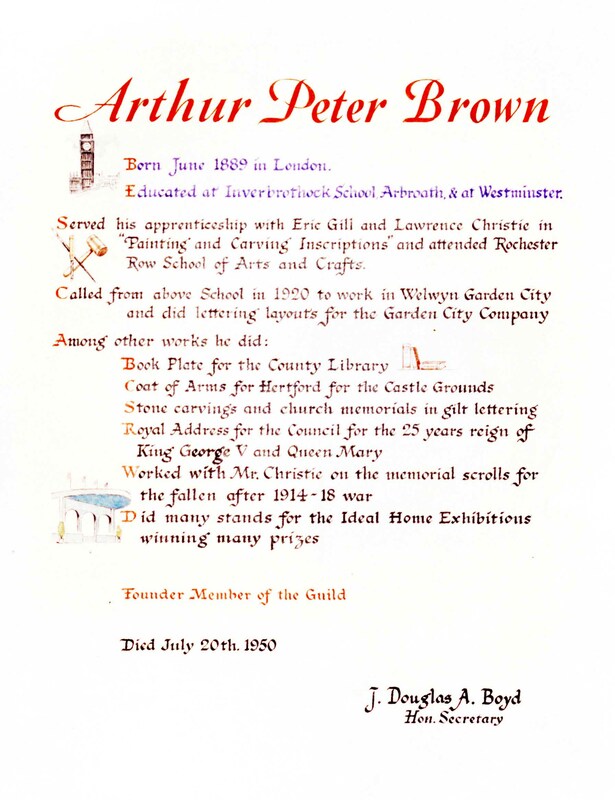 Arthur Peter Brown was born in North Street, Marylebone on 10th June 1889 (Ref.1). 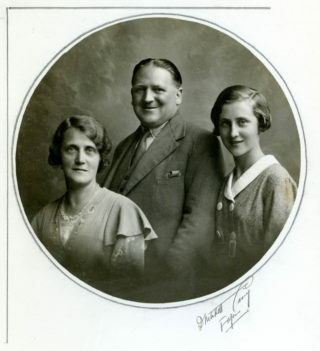 He was the only child of Arthur Brown, an engineer/porter in a gentlemans club (The Devonshire) and his mother Barbara Sim Hood whose family came from Arbroath. It is not clear why he spent his childhood with his maternal grandfather in Arbroath, his mother may have been unwell, but the 1901 census shows him at 8 St Vigeans Road Arbroath as an 11 year old school boy living with his grandfather (a widower since 1877) and other members of the family (Ref.2). He was educated at Inverbrothock school in Arbroath (Ref.3) and as result of his formative years there acquired a scottish accent. 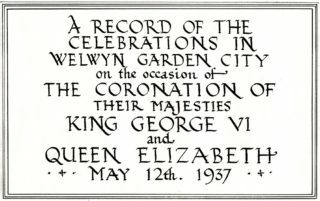 APB finished his education back at Westminster where he served an apprenticeship with Eric Gill (a man renowned for his inscriptional lettering) and Lawrence Christie. 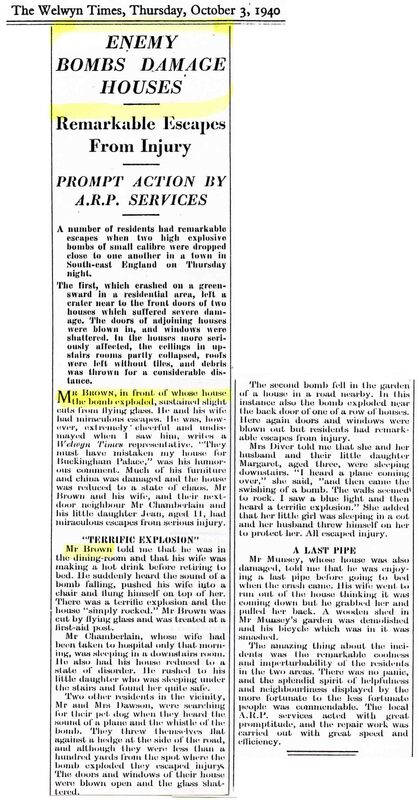 APB also attended Rochester Row school of Arts and Crafts (Ref.3) (Appendix A). Dorothy came from the Borough area of South London and it is thought that APB met her and her family at the Borough Road Chapel, a Baptist church and meeting place for young people. 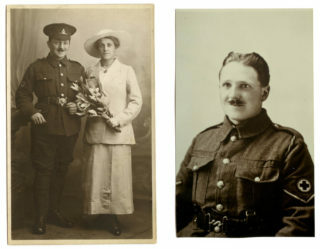 It is sad that during her early married life Dorothy lost both her brothers, one killed in action and the eldest in the ‘flu epidemic of 1918. 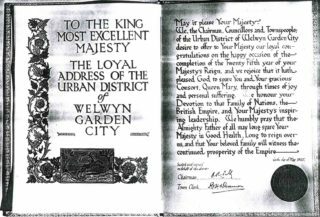 Later in 1920 APB was called from Rochester Row school of Arts and Crafts to work for the Welwyn Garden City Company doing lettering layouts. 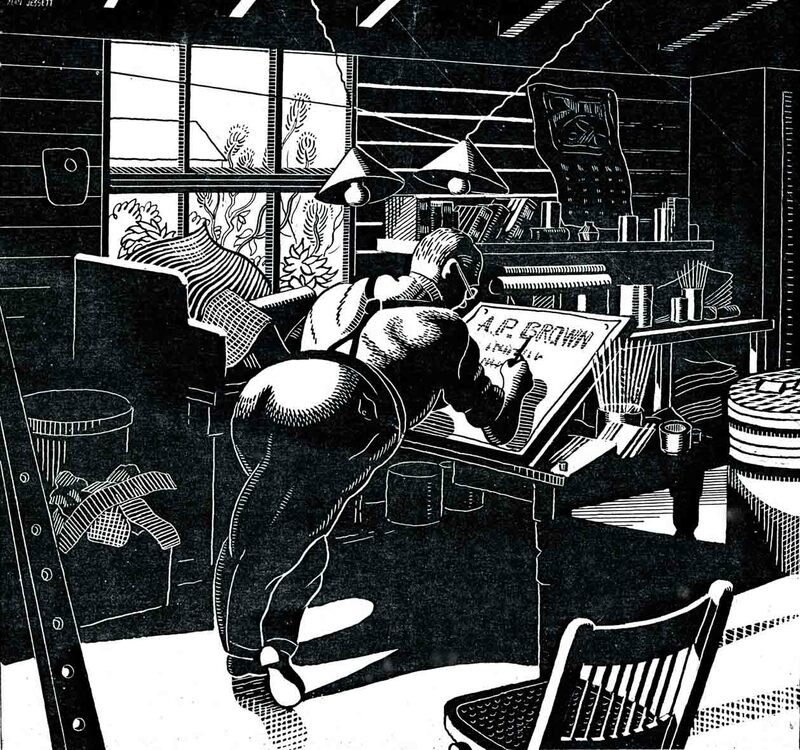 (Ref.3) He had started his career as a letter cutter in stone, having been trained in painting and carving inscriptions, but he now took to the brush and pen. 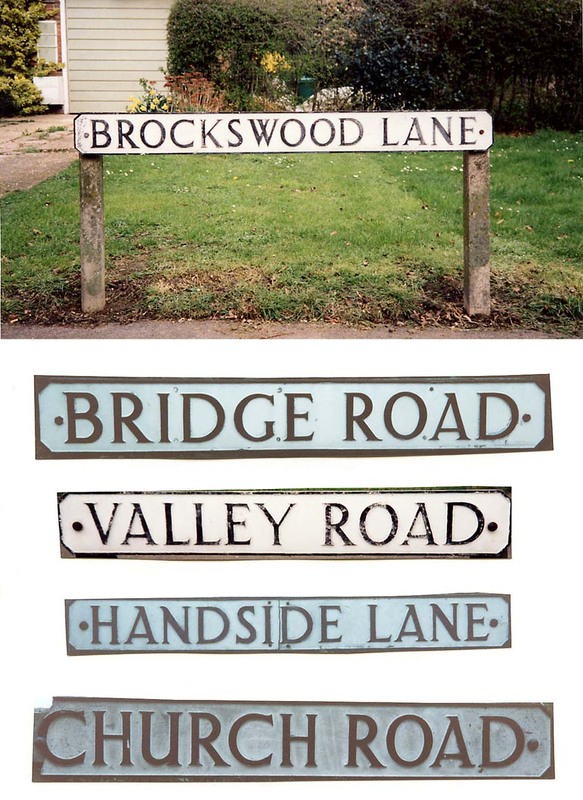 His sign-writing business was set up at 28 Bridge Road WGC in one of the wooden huts that were built beside the remnant of the old lane running between Bridge Road East and the Campus (Ref.8) (Appendix D). 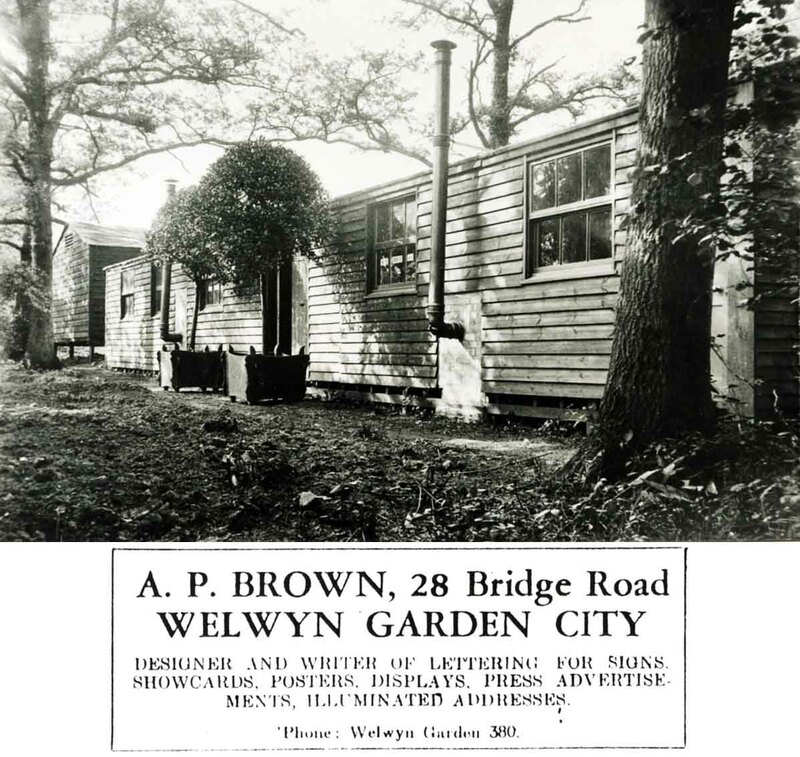 APB’s first advertisement for his business was in the 1933 WGC Handbook p.72 and advertisements for his business continue to appear regularly in WGC directories from 1937 to 1947. 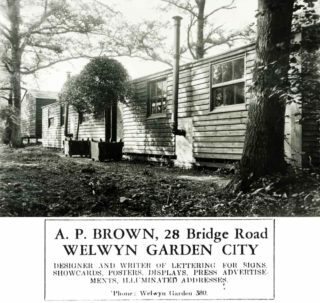 APB’s work included advertisement headings for the first new Welwyn Department Stores (Welwyn News 6th Jan 1928) and he wrote the signs for the different departments in the store. 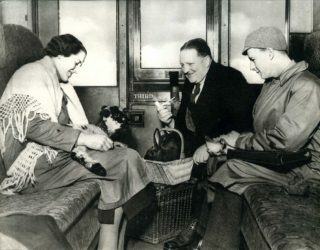 He also produced advertisements for other organisations such as Phyllis Kitley Dancing classes. APB appears to have had a theatrical side to his nature, in 1933 he appeared as Maitre d’Hotel in a Barn theatre production of ‘A Hasty Flight’ by Welwyn Folk Players and he also took other minor parts in Drama Club productions. 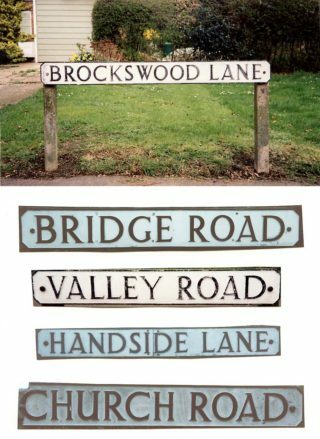 William Porch was ‘Appy’ Brown’s apprentice from 1934 to 1939, William cycled every evening to St Albans school of Art where he extended his skills in Roman lettering. 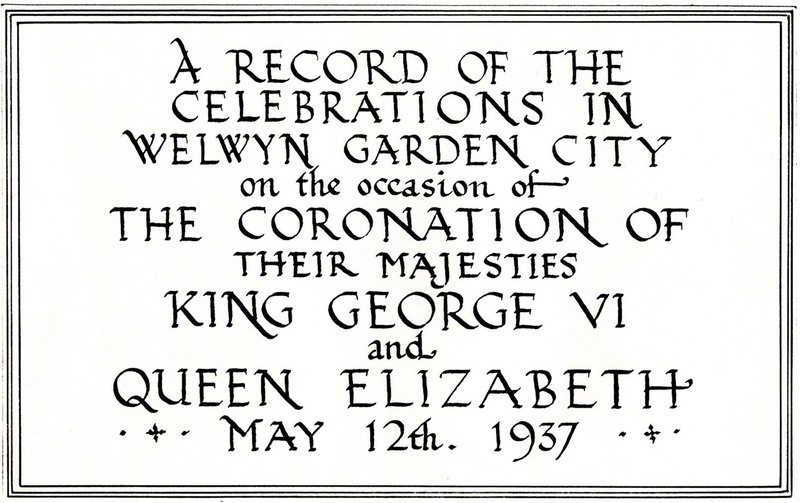 An example of his work can be seen in the Chapter House at Westminster Abbey where he designed the lettering for replacement stained glass windows (1950). 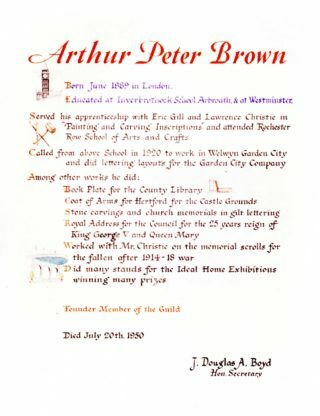 He gave lectures to the Art and Crafts Guild where he referred frequently to the skill of his tutor Arthur Peter Brown. 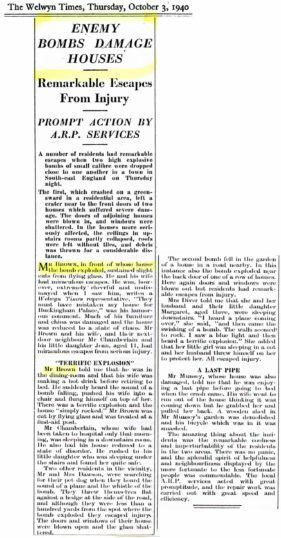 APB and Dorothy were downstairs in the kitchen of 61 Handside Lane on the evening of 26th September 1940 when a WWII German bomb fell in the front garden, the soil from the crater came through the roof and crushed their bed, if they had gone to bed early they would have been killed! The explosion blew out doors and windows. 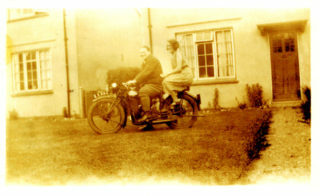 APB and Dorothy suffered from minor cuts and injuries but were otherwise unharmed. 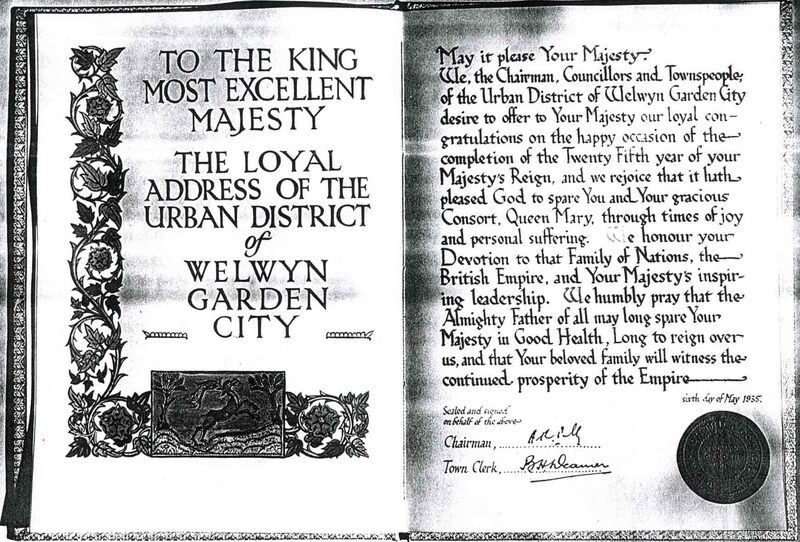 (Appendix L). 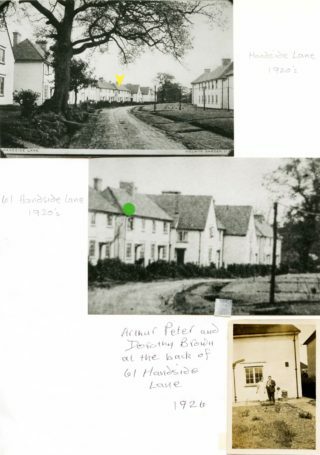 Numbers 61 and 63 Handside Lane had to be demolished and APB was re-housed at 74 Lemsford Lane. APB gave his daughter Barbara away at her wedding to George Lander at the Free Church WGC on 21st July 1945 and on 1st April 1949 he became a grandfather to Mary Janet. This page was added on 23/10/2011. I appreciate all the information, but have to point out that the Welwyn Times reporting on the bombing was disappointingly Inaccurate in large measure. But I do thank youfor sending it.